This advert makes me angry. 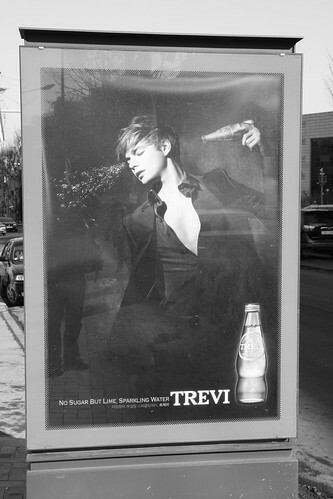 Congratulations Trevi (produced by Lotte Chilsung), you win the prize for sleaziest exploitation of unhappiness in a printed bus stop advertisement for 2010. Round the side of the Hamilton Hotel, tucked away in the sub-basement of a shabby little building is a rather sparkly new restaurant and bar. 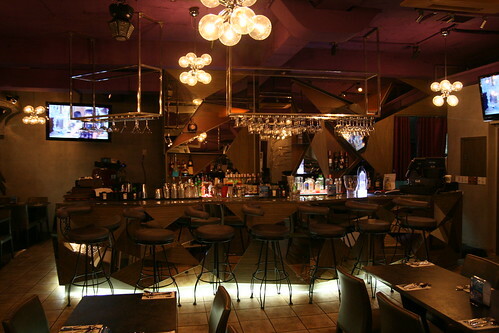 Silvers and purples dazzle you as you enter the Naked Bar & Grill; this restaurant come cocktail hangout strives to be cool even though Shania Twain blares out of the speakers ever so slightly disturbing your lunchtime mood. Here's some advice for the Naked Bar & Grill: if you label a dish in a certain way, then the customer may well have certain expectations as to what the dish may be like. Using words such as "twisted" may lead your customer to expect certain changes or substitutions in the dish and said customer will probably be very happy to discover that an old favourite has been given a makeover. However if you promise a "Twisted macaroni and cheese" and serve a cream sauce pasta then you shouldn't be surprised if your customer is a little disappointed at receiving a dish which does not really have any relation to the name it has been given. Call me a pedant, go on I know you want to, but I expect my food to be given a moniker it deserves. If I order a "pepperoni pizza" I'm not expecting to be served a grilled cheese and salami sandwich. 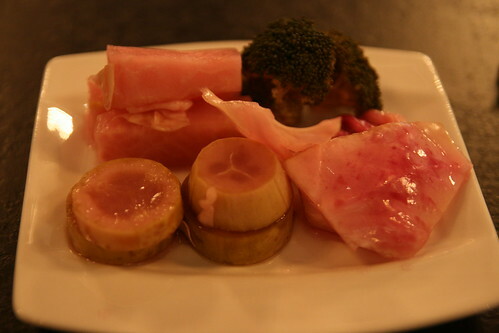 The food was good, pricey, but delicious. 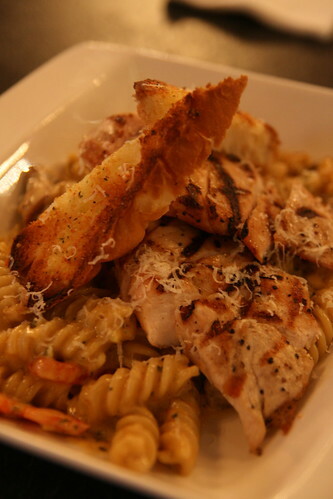 I doubt you'll find a better grilled chicken breast in Itaewon and the service was very friendly and helpful. 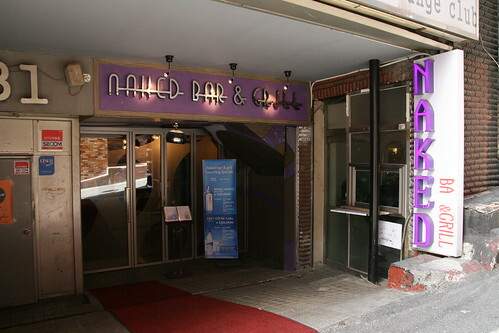 If you like casual dining with loud music and a nightclub atmosphere then Naked Bar & Grill could well be the place for you. 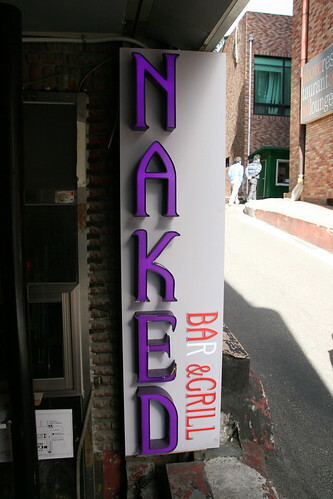 Naked Bar & Grill is just round the corner from the Hamilton Hotel, just turn right at KFC and it's on the left hand side of the alley. 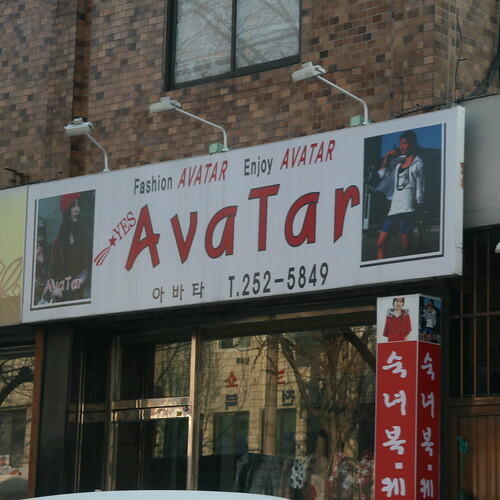 I couldn't get any contact details for them (no business cards as yet), but you could always give their Hannam-dong branch a ring on 02 749 4225.